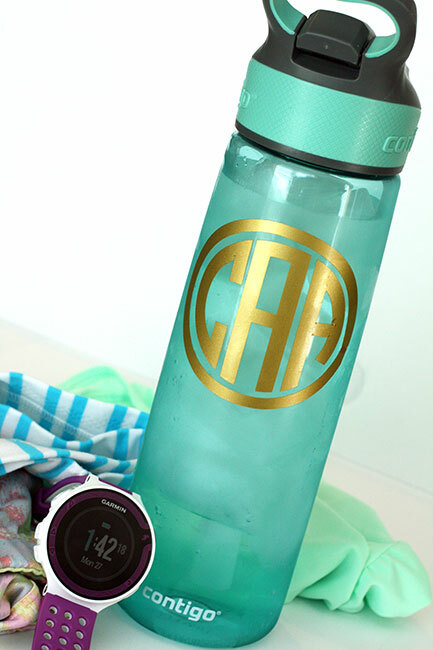 I am back with ANOTHER Silhouette vinyl monogram project. Big surprise, eh? I do promise you that the next Silhouette project I am planning does not involve a monogram, but it does involve vinyl and chalkboard paint!! 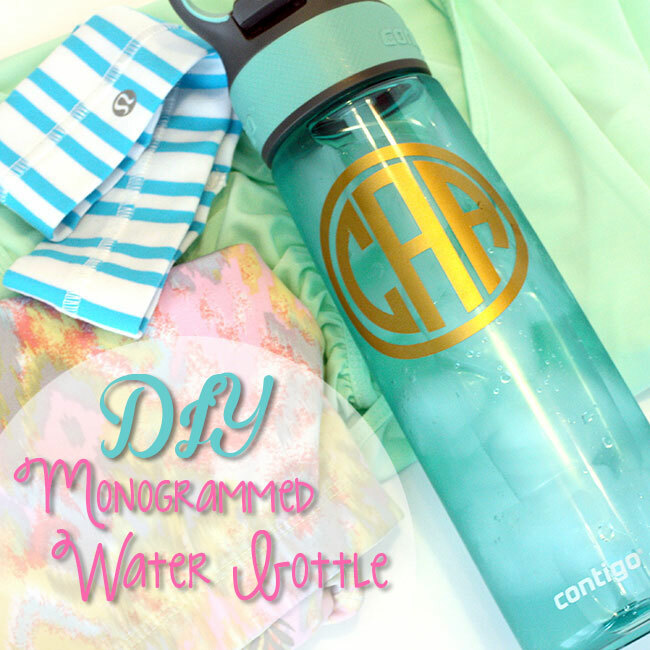 So, today I am sharing how I made a monogrammed water bottle! 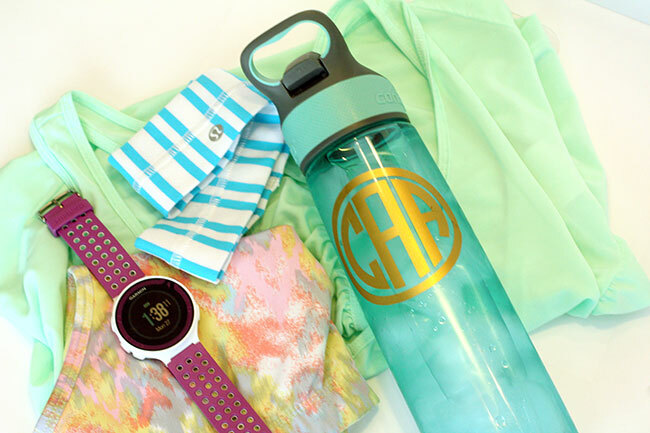 I have been wanting a water bottle with a straw for awhile, because it is just easier when you’re running outside or on the treadmill to have a straw… but, I also wanted my monogram on it! 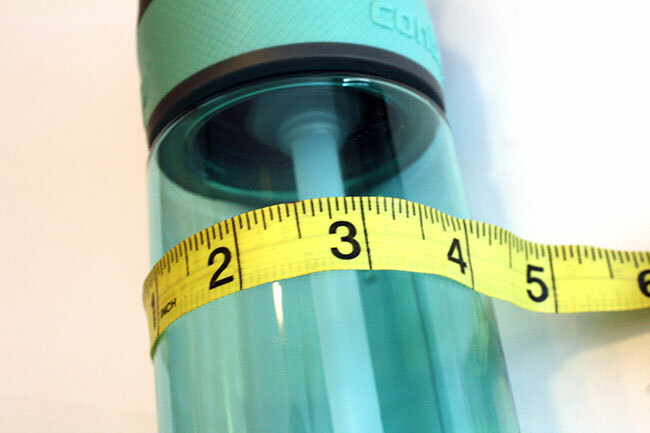 I found this cute water bottle in mint at Target and it is BPA free and even came with a couple extra straws. 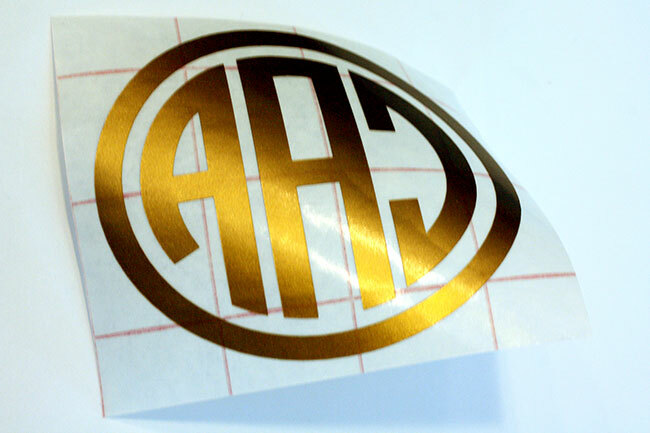 I am getting pretty quick at these vinyl monograms and I am starting to build up some confidence in making them. This monogram took me only 30 minutes and I am sure with a little more practice, I could finish it in 15 minutes. So, are you ready for a tutorial? 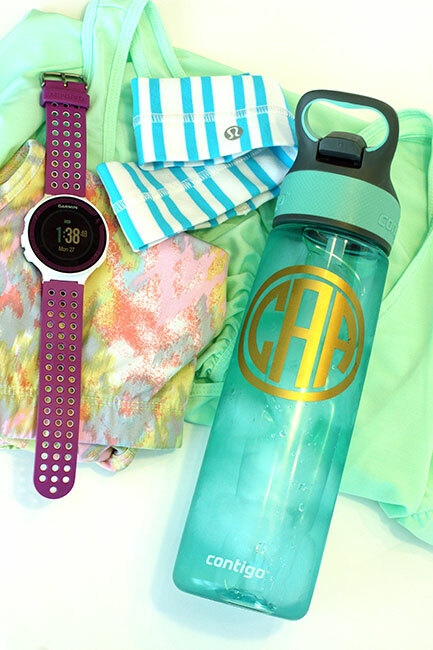 All you need is some vinyl, transfer paper, a water bottle and your Silhouette machine! 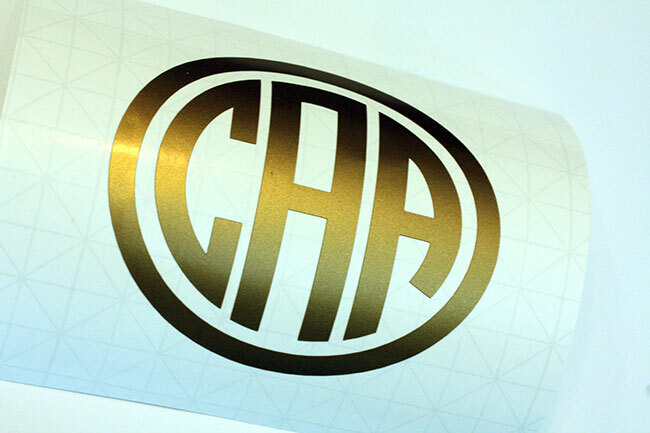 I really need to purchase some more vinyl in other colors, but I LOVE gold… so, I’m sticking with the gold vinyl I purchased. I still have a ton of it left, you can really do so many projects with just one roll. 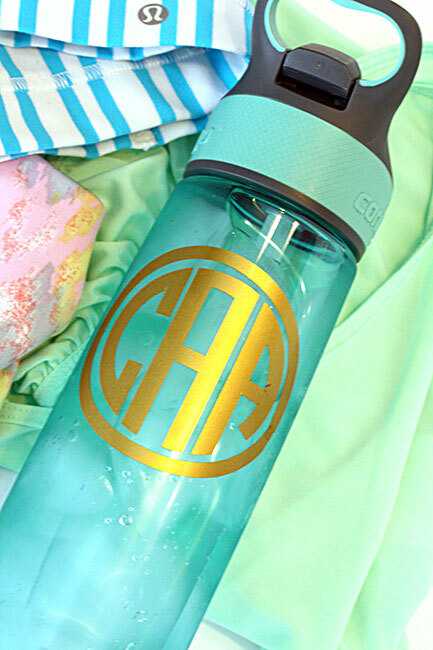 First, you’ll want to measure your bottle to see how big you want the monogram to be on it. 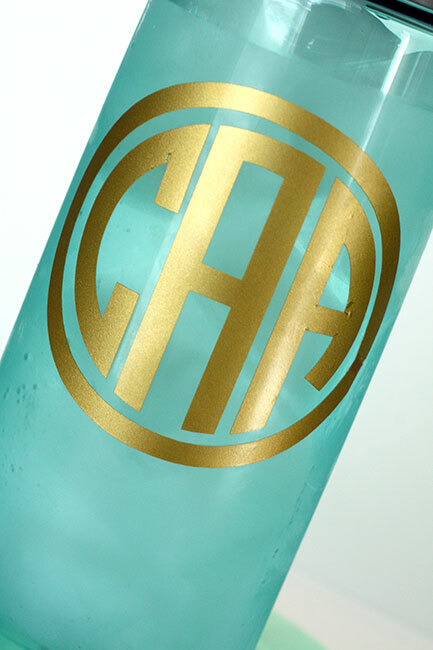 For my other two monogram projects, I used an actual font. 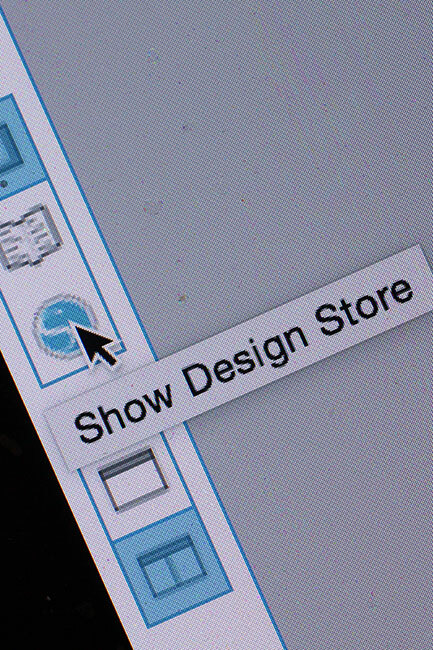 But, for this one I went into the Silhouette Design Store. 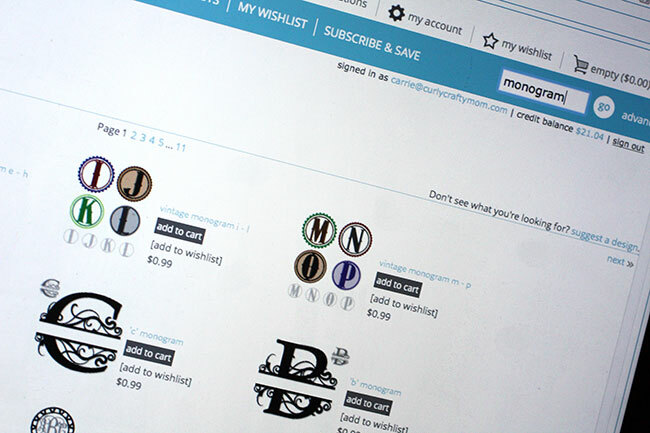 I typed ‘monogram’ into the search box and it pulls up all of the monogram artwork that you can purchase. Usually the artwork is 99 cents each. 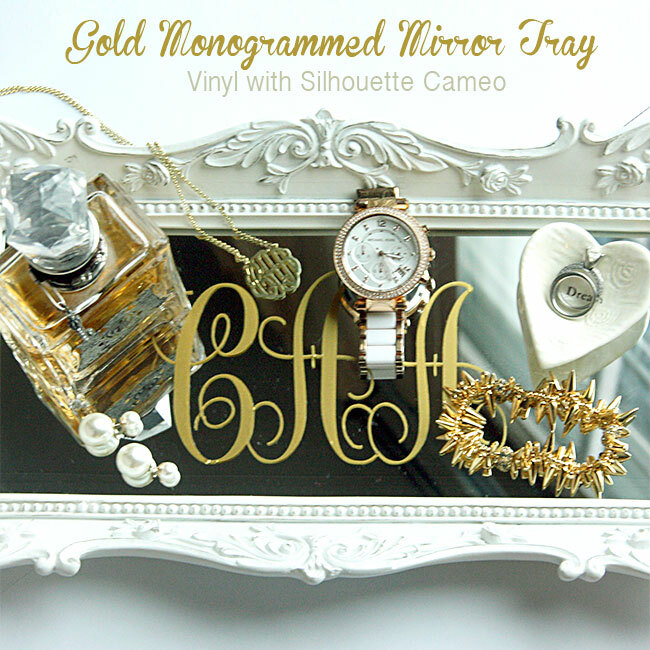 My Silhouette Cameo came with a $20 gift card when I purchased it during last years Black Friday sale, so I used that to purchase the monogram artwork I wanted to use. I went ahead and purchased the entire set, because I may make these for gifts or for friends. I had to purchase more then one piece of artwork to get all of the different letters. I spent under $5.00 for the entire set. 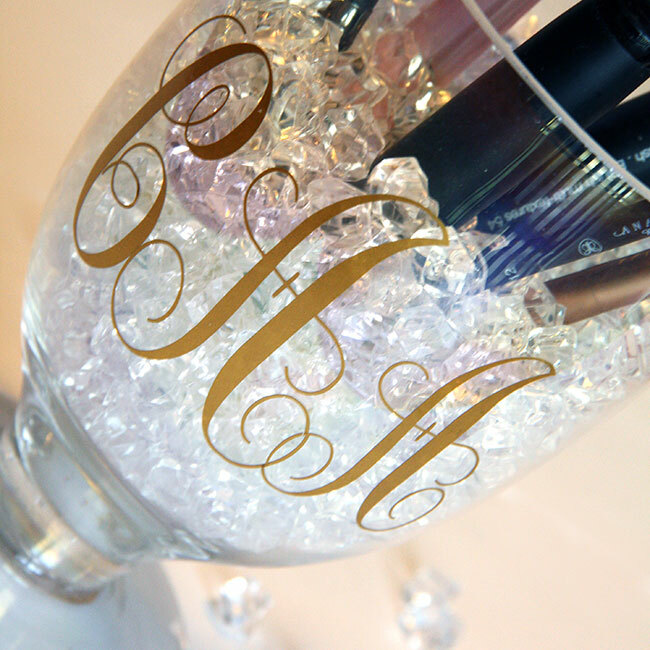 In Silhouette, the shape will be grouped and you’ll ungroup it and pull the letters in that makeup your monogram. 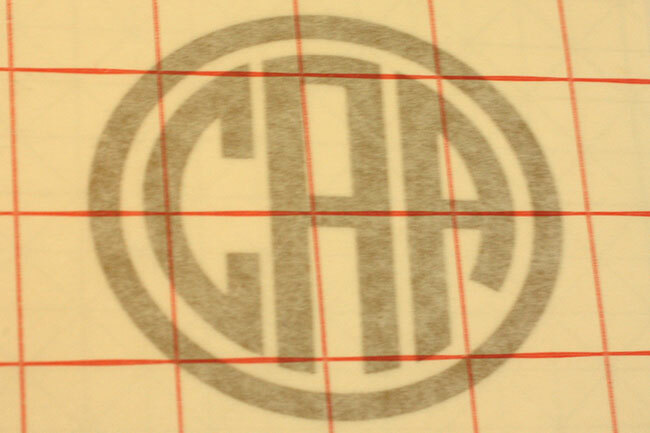 For this particular artwork, it had the monogram with all one letter (for example, three A’s)… since my monogram is CAA, I only had to delete the first A and then I placed a C from the C monogram artwork in front of the two A’s from the A artwork. Whew. I hope that makes sense. 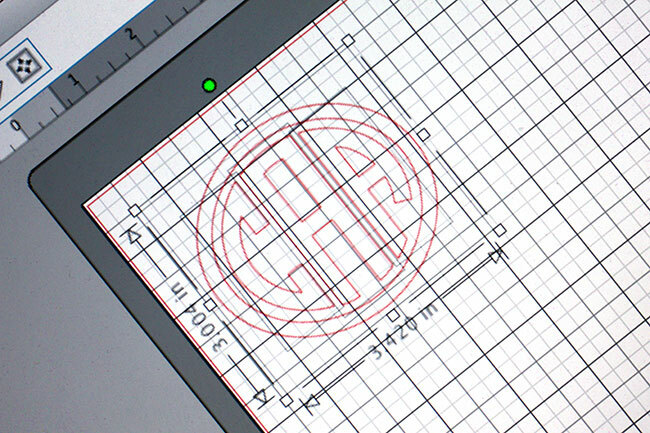 🙂 Then, you’ll size your graphic to the size you want it to be… I wanted mine to be approximately 3-3.5″ height/width, so I sized it to around that measurement. 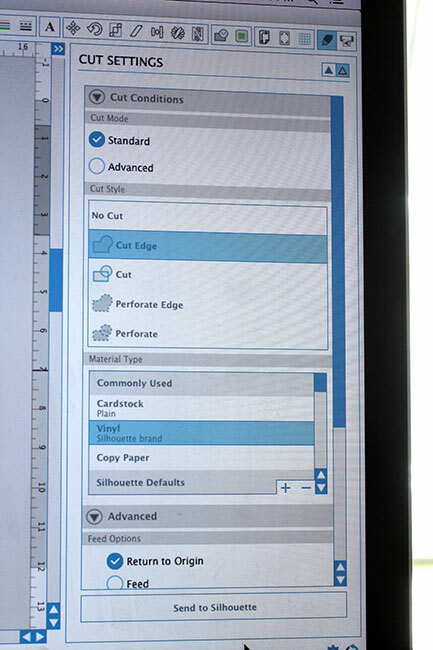 When your artwork is ready for print, you’ll go to the Cut menu. 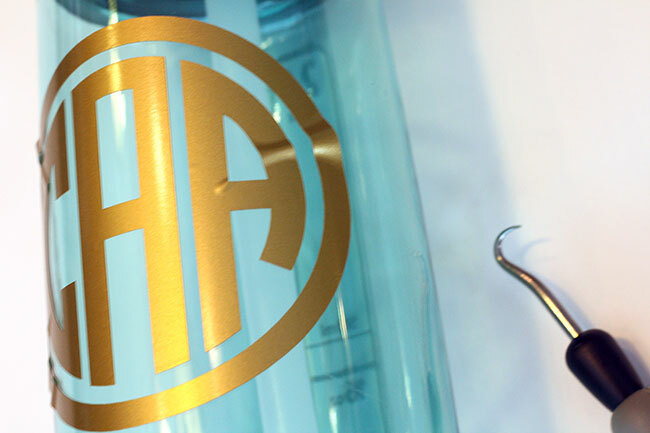 Make sure that the blade on your Silhouette is set to cut vinyl and not regular paper. Also, in the cut menu you’ll want to select Vinyl and Cut Edge. 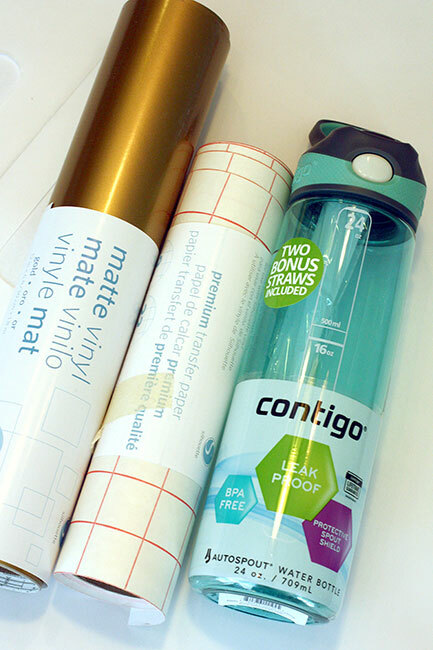 Load your vinyl into your Silhouette machine and print! 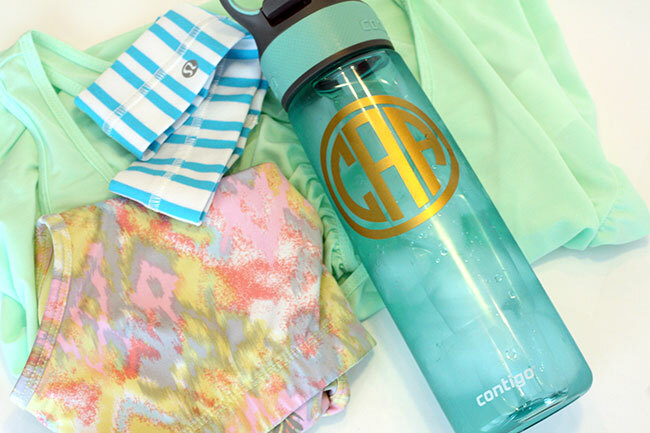 Peel the paper away from your transfer paper and your design is ready to be put on the water bottle! 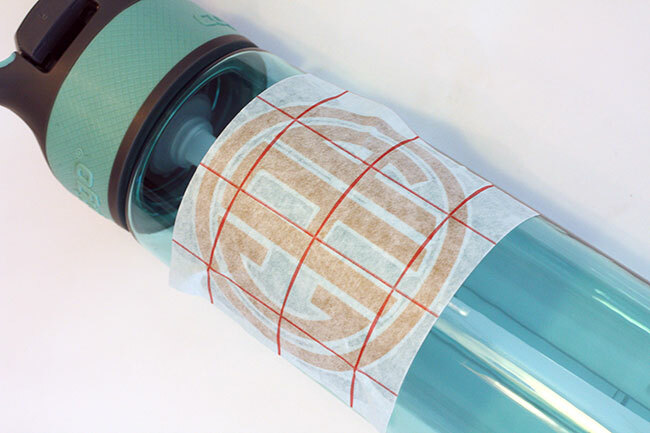 Place the transfer paper with your design on the water bottle and once again, rub really good around the edges of your letters and circle so you know it will attach. Remove the transfer paper. I talked about the hook tool in my last Silhouette blog post, but it really helps you pull up the vinyl when you need to ‘realign’ it. This happens when you’re putting the vinyl on a rounded surface, it is not going to lay perfectly flat until you pull it up and reattach it. The circle was the most difficult part to lay flat on the rounded surface without wrinkling. I have also watched THIS You Tube video and it shows a different way to apply your vinyl to a rounded surface and I think I’ll try her method next time. 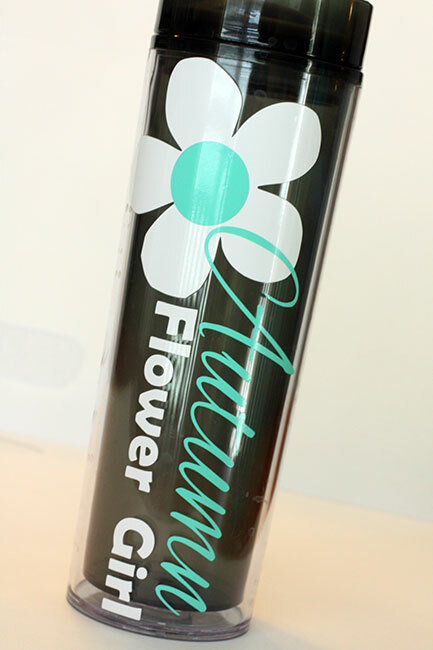 There are just SO many tips and tricks with vinyl to make it easier. 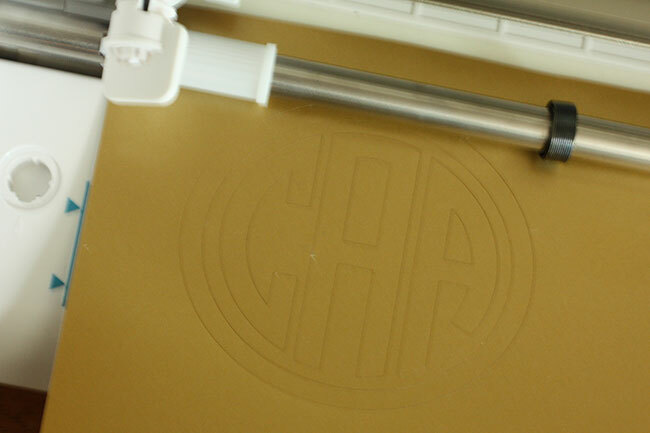 Here is what the vinyl looks like once you have it all smoothed out on your rounded surface. Not bad, eh? Autumn was a flower girl a couple weekends ago and for a gift she received this beautiful flower girl tumbler. The possibilities really are endless with the Silhouette machine.